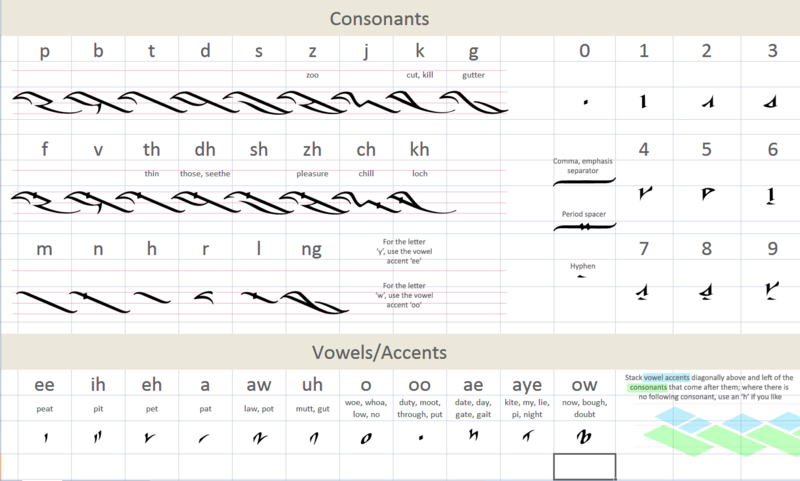 The Orokin alphabet, also called the Tennobet, is a featural alphabet developed by Digital Extremes, a Canadian private video game developer, for their game WARFRAME. “Orokin Language.” WARFRAME Wiki <https://warframe.fandom.com/wiki/Orokin_Language>. Retrieved 2019-03-27.